I read this book over and over again when I was a child.Amazingly, I still have it and it's in pretty good condition.My mother read it before me, her name is faded on the inside cover. I think I found it on a raid in the garage one day.Quite moving for a book about horses. I don't recall the storyline, but I do remember the imagery and the emotions it brought.It didn't make it to the charity pile this time, and I think it'll be read again before I consider letting it go once more. A truly beautiful story. The author gives a great insight into the life of a small community in outback New South Wales. The loneliness of a little boy who finds a brumby herd on his fathers property is captured vividly. Was one of my all time favorite books as a child, I even wrote a short story loosely based on it! Although I can read it in about 5 minutes now, its still worth the read for all the brumby lovers out there! 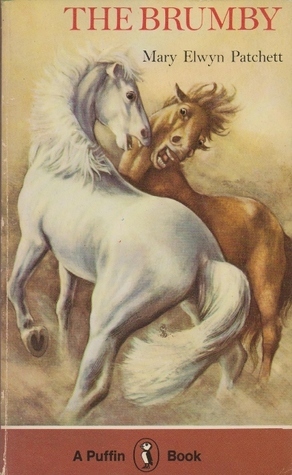 Chronicles of Han Storm Book Club ReadFor a horse nut, most stories about horses are acceptable, but this one became a favourite. The Brumby now entertains my own children who enjoy it with me.